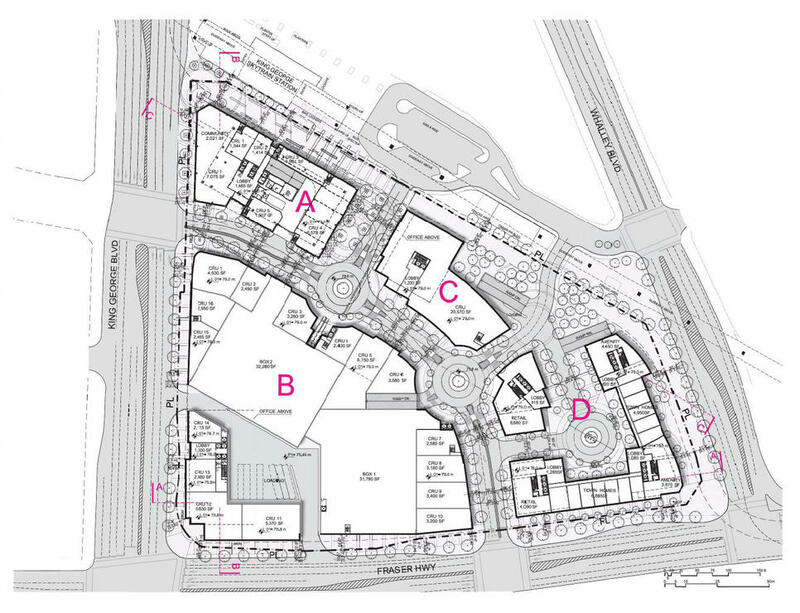 A development application has been submitted for Phase ‘C’ of PCI Group’s ‘King George Hub’ at Fraser Hwy & King George Blvd next to King George Station. 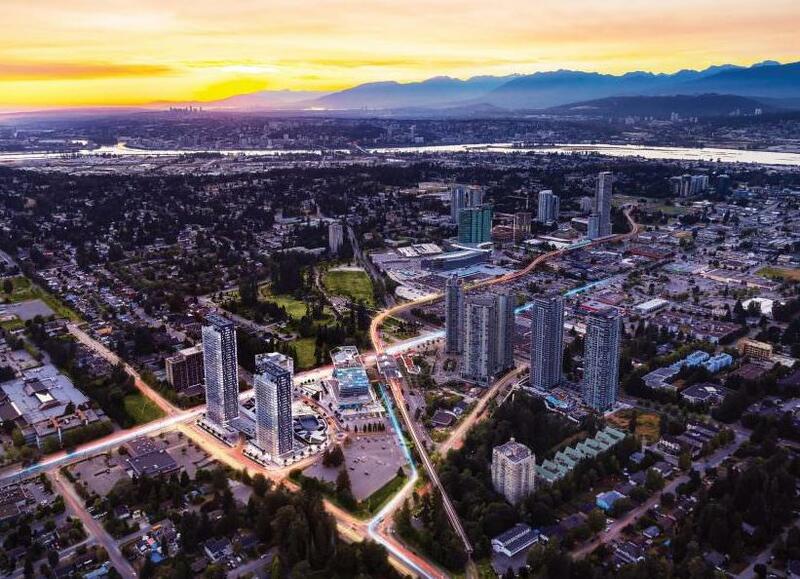 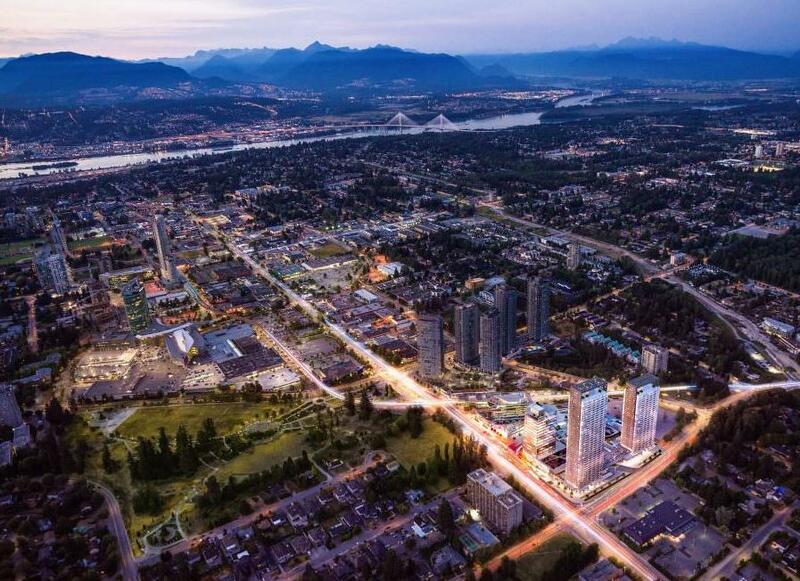 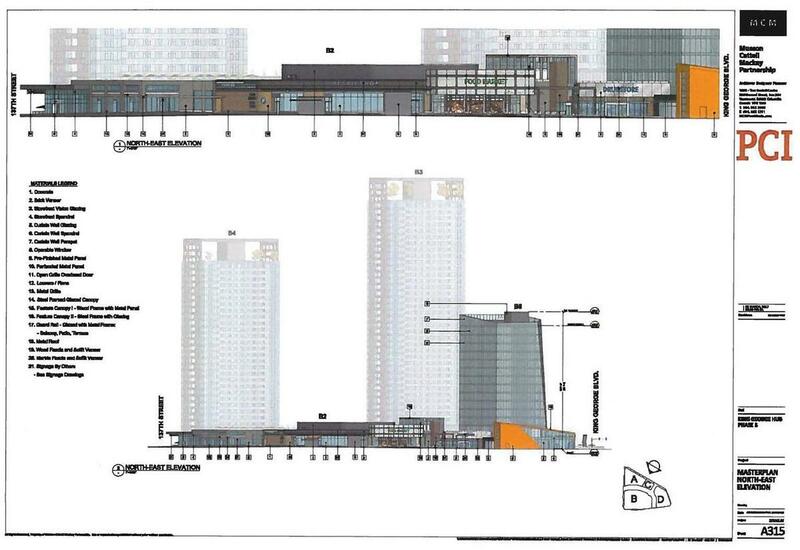 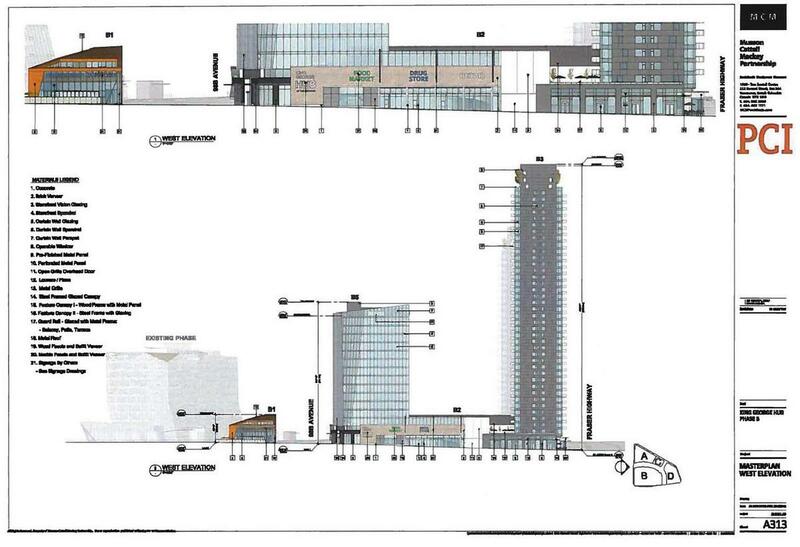 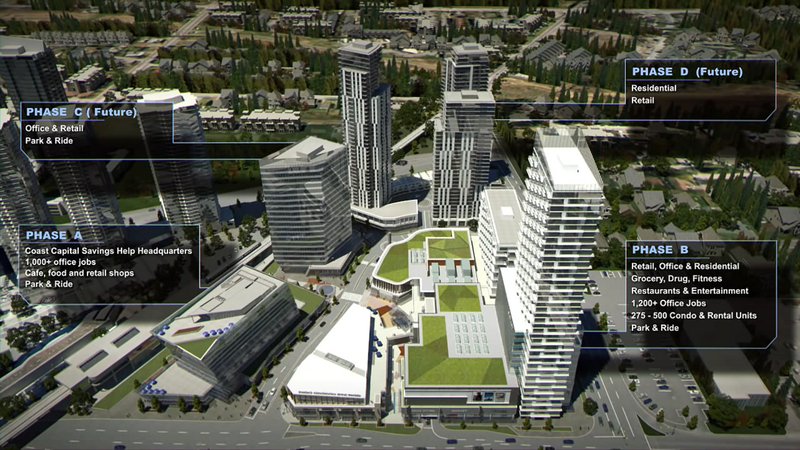 Details of the application indicate that Phase ‘C’ will consist of a single 34-storey mixed-use tower just to the east of Phase ‘A’ – the landmark 10-storey Coast Capital Savings headquarters built in 2014. 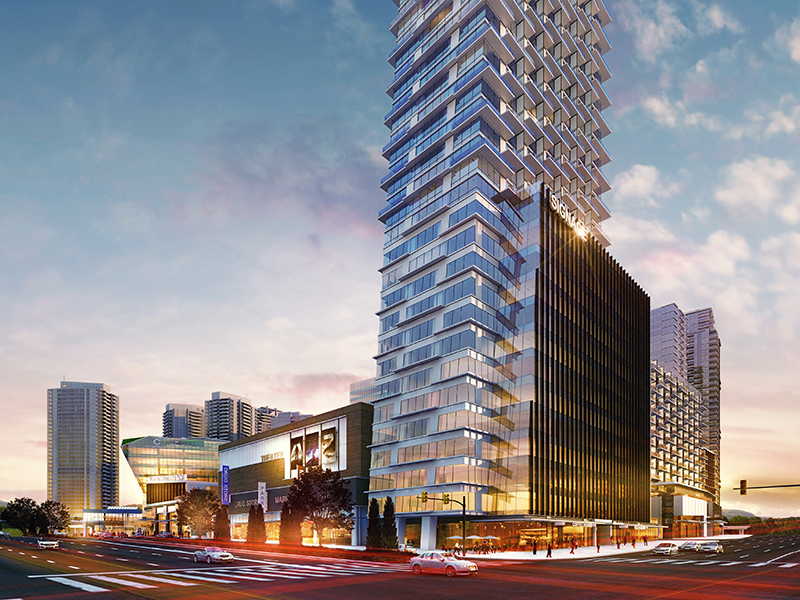 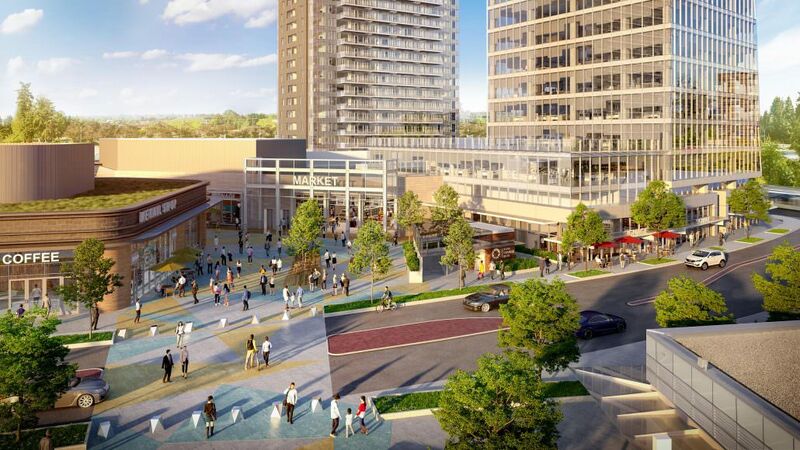 No renderings of the tower have been released at this time, but the project is proposed to contain 363 residential units above 10,000 sq.ft. 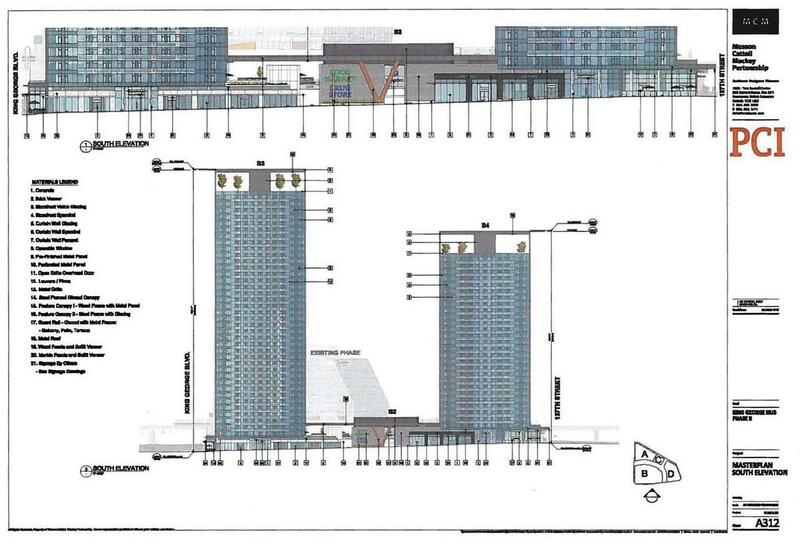 of ground-level retail. 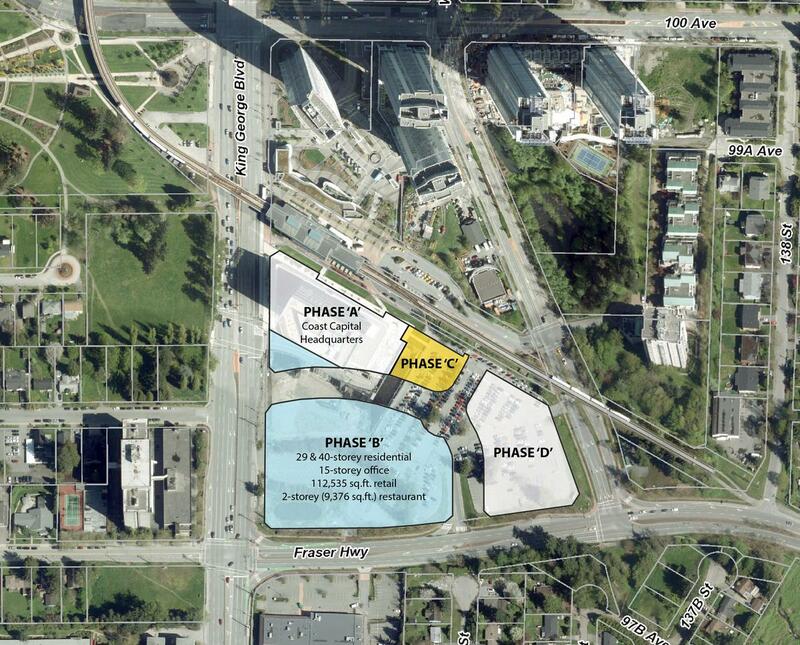 With the application just submitted, it is expected that Phase ‘C’ will not likely begin construction until around 2020/21, around the time when Phase ‘B’ reaches completion. 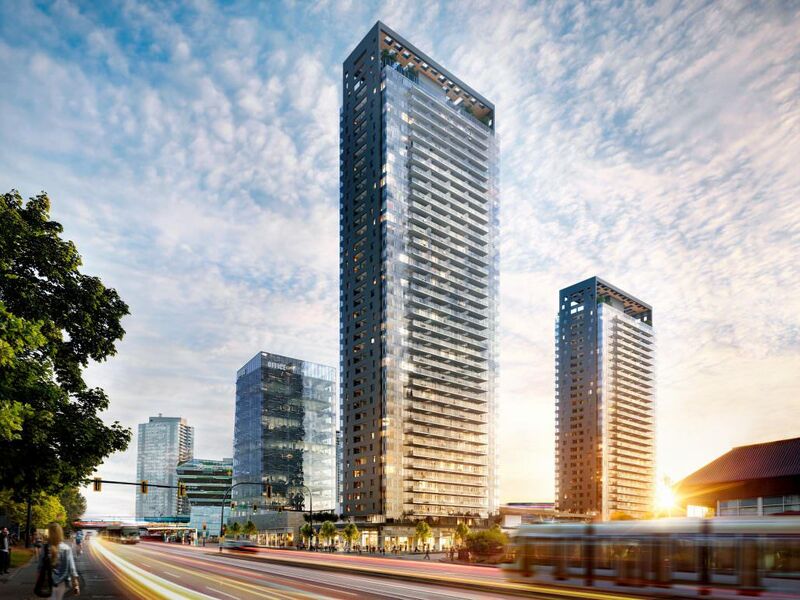 It could however be fast-tracked to begin sooner, given the strong response for Phase ‘B’ – which sold out both its residential towers in a matter of days. Phase ‘B’ is set to begin construction in the coming months, and will contain 29 & 40-storey residential towers, a 15-storey office tower, a 2-storey (9,376 sq.ft.) 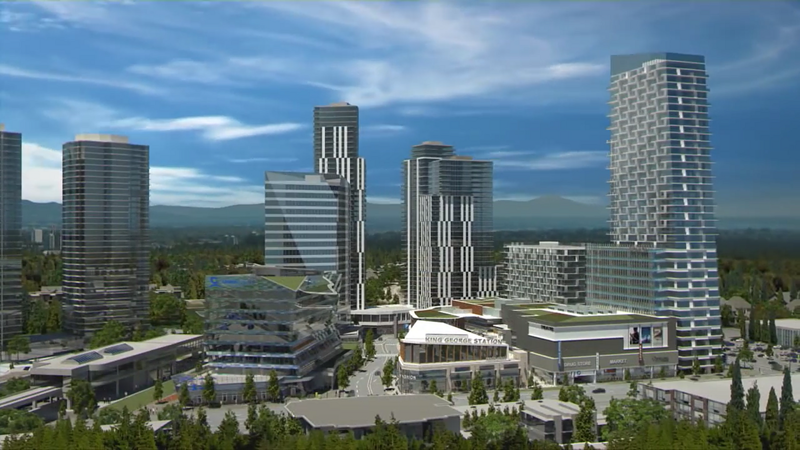 standalone restaurant next to the Coast Capital Savings Headquarters, and 112,535 sq.ft. 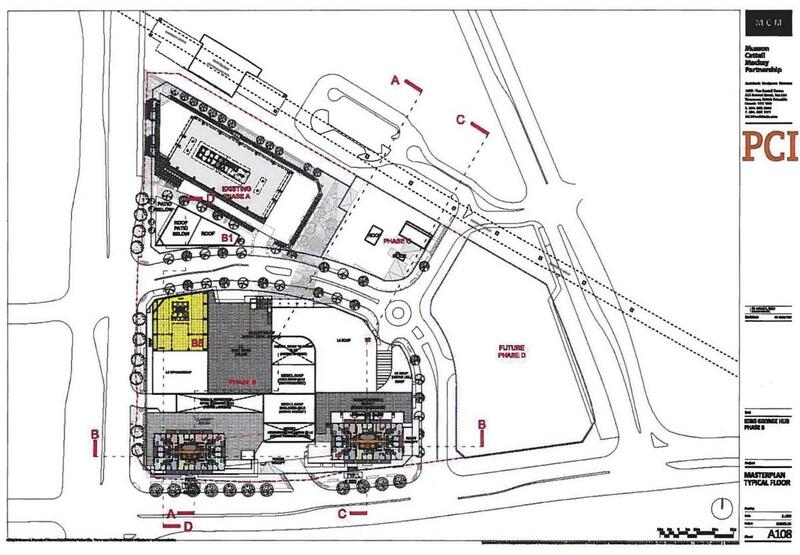 of retail. 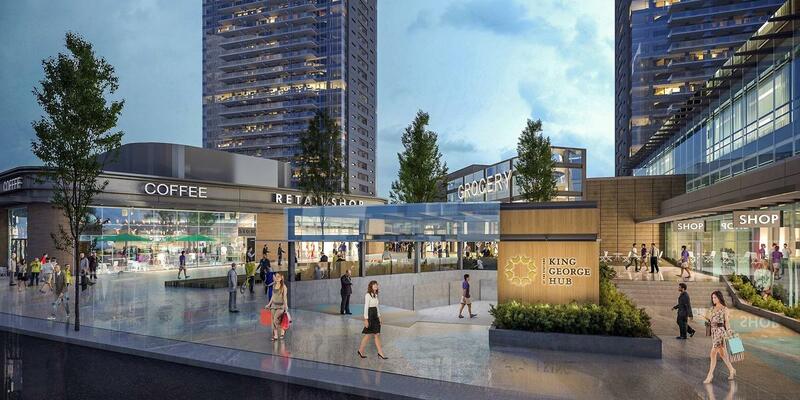 Following Phase ‘C’ will be the final phase of King George Hub – Phase ‘D’. 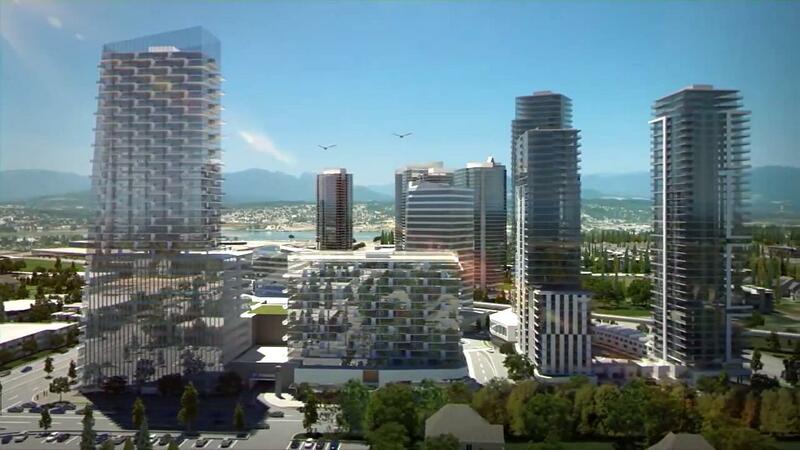 No details of Phase ‘D’ have been released yet, but this last piece of the site at the corner of Fraser Hwy and Whalley Blvd is expected to add 2-3 more residential towers above retail. 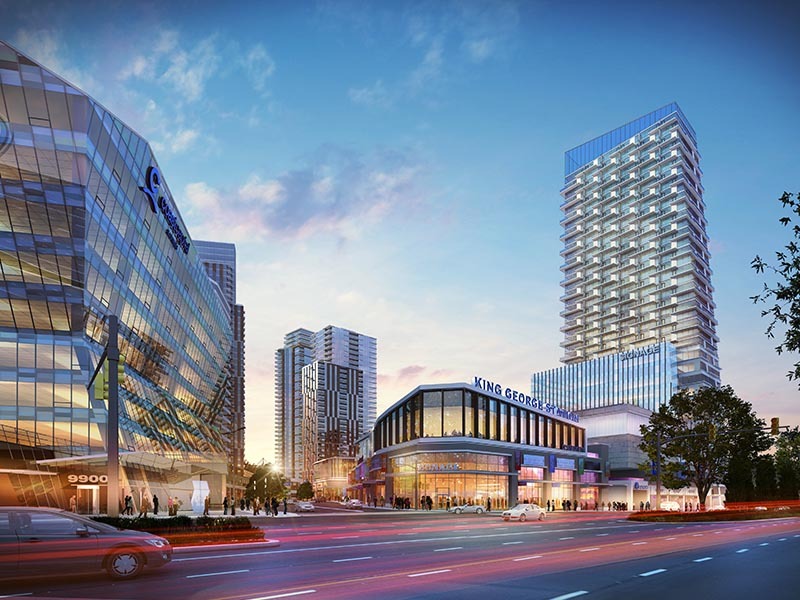 Full buildout of all phases is expected to be complete around 2025, and will be accompanied by numerous other surrounding projects – also expected to complete within that timeframe.